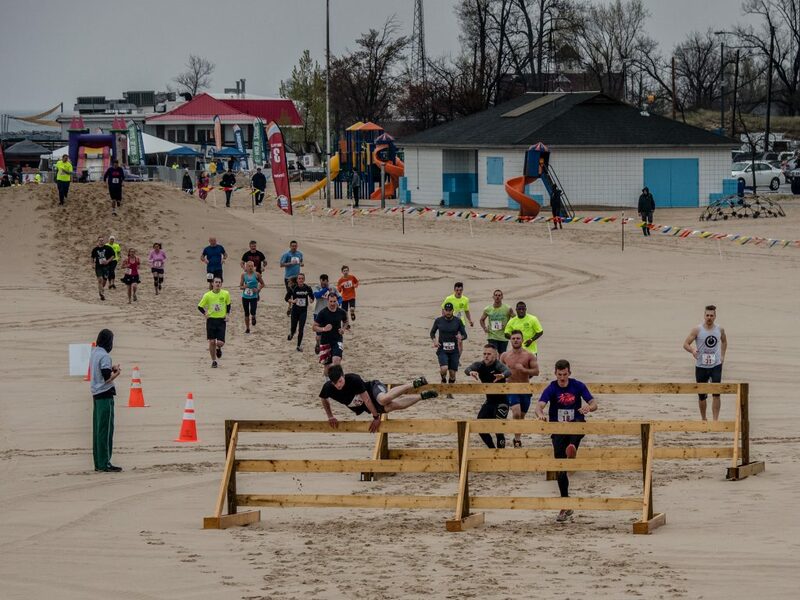 Muskegon Rescue Mission’s fifth annual ForeShore Adventure Run is set to bring hundreds of participants to Pere Marquette Beach on Saturday, May 18, when they’ll run, climb and crawl through a 5K obstacle course featuring sand dunes, a 50-foot waterslide, inner tubes, suspended tires, tunnels, and more. The yearly event, which takes runners from the steps of the lighthouse to Kruse Park, raises money for the Muskegon Rescue Mission, one of West Michigan’s oldest ministries that provides a variety of services, including homeless shelters, daily meals, a food pantry, counseling, tutoring, childcare, and job support. Participants must register for the event; registration is $45 through April 30. After that, the price goes up to $50 through May 12 and $55 until May 17. To sign up, go to ForeShore.org and click on the “event registration” button at the top of the page. When an individual or team signs up, they can choose their race start time. A wave of participants capped at 50 people begins every 10 minutes throughout the event, which includes both competitive and fun runs. There too is a “kid zone,” which features a children’s obstacle course that mimics the one for adults and is free for participants’ children. The kid zone is also available to the general public; admission for the general public is $3 per child. Since the ForeShore Adventure Run began, the event has continued to grow and draws people from throughout West Michigan—and beyond. Last year, there were about 650 runners. 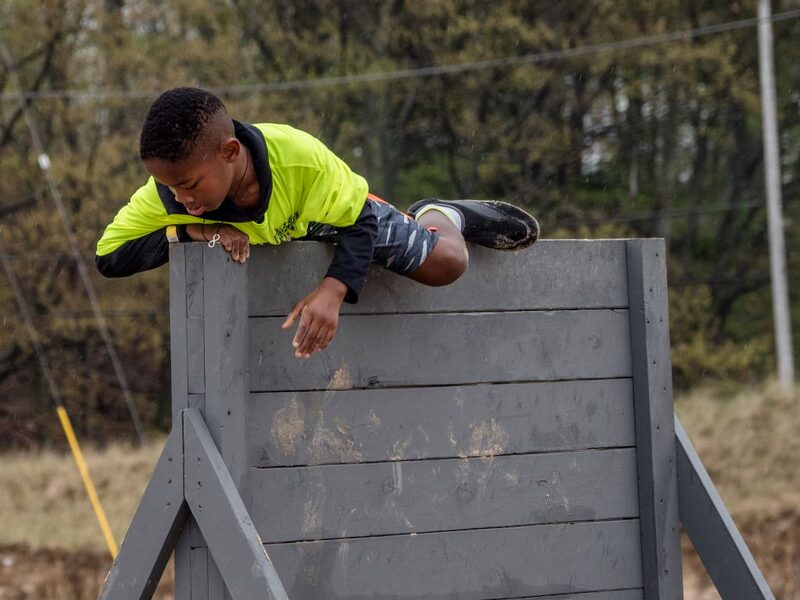 It’s not just the ever-changing obstacle course that draws runners, Skoglund noted: it’s the event’s mission to support families who are homeless in the Muskegon area that inspires many people to sign up for the race. The proceeds from the race go to support the Muskegon Rescue Mission—which has seen an increase in the number of people turning to them for help, Skoglund noted. From 2017 to 2018, there was a 40 percent increase in the number of people staying overnight in the organization’s emergency shelter facilities. In 2018, there were about 88 people staying at the mission’s emergency shelters every night of the year. The Muskegon Rescue Mission also serves three meals a day at both of their shelters—they operate one for men and one for women and children—and Skoglund emphasized that anyone is welcome to eat with them, regardless of whether or not you’re staying at the shelters. Every Thursday morning from 9:30am to 10:30am, the mission provides a food pantry that is open to anyone who needs assistance. The pantry is located at the 400 W. Laketon Ave.
As with the emergency shelters, the number of people accessing meals has increased. The Muskegon Rescue Mission provided 163,508 meals in 2018, a 12 percent increase over 2017. Founded in 1907, the organization takes a holistic approach to supporting homeless families, Skoglund said. As soon as an individual or family facing homelessness comes to them, the group works to provide them with shelter and food—as well as access to counseling, help with job searches, money management skills, clothing, and more. For example, Skoglund said a woman with three children recently came to them for support. While there are a number of barriers individuals and families who are homeless face to accessing stable housing, one significant issue is local public transportation, according to Skoglund. About 10 to 15 percent of Muskegon’s homeless population is employed, but they can face difficulties getting to work because of limited public transportation, the executive director emphasized. “One thing that makes it tough on the homeless and those on the edge is the public transportation system we have and the difficulty they have to quickly and easily navigate our community,” Skoglund said. For those who would like to further support the Muskegon Rescue Mission, the organization is accepting new volunteers. Currently, about 900 volunteers donate approximately 15,200 hours of their time to the mission each year. To learn more about volunteering, please click here. 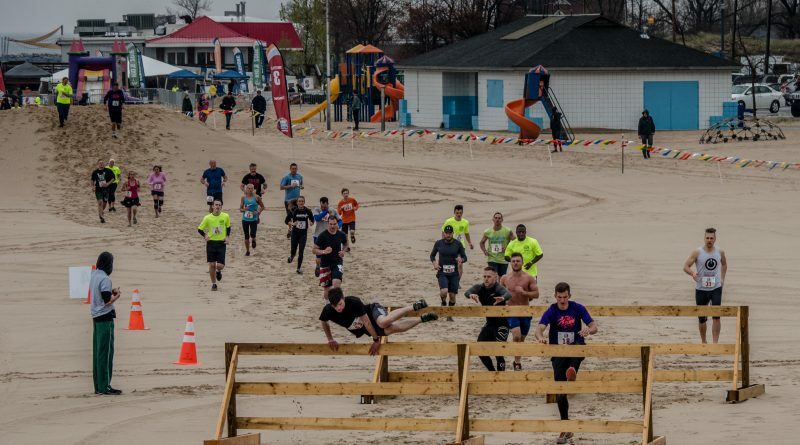 The ForeShore Adventure Run will be held Saturday, May 18 at Pere Marquette Beach in Muskegon. For more information and to register for the event, please click here.